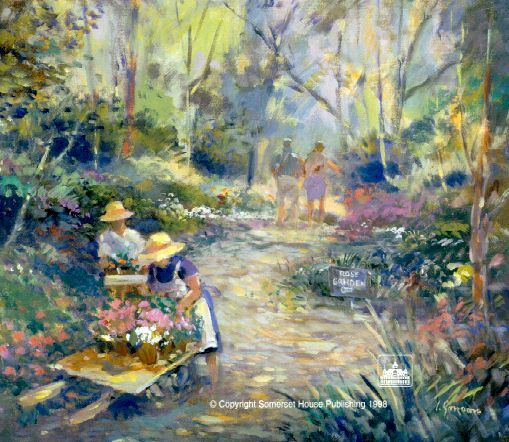 L. Gordon 's Limited Edition Print " The Gardeners "
L. Gordon 's " The Gardeners "
allows the special experience to be relived - over and over again. The Gardeners   20" x 24"   $110 (US)plus shipping. Send mail to koshgall@koshgall.com with questions or comments about this web site.